Will You Have to Work Until You’re 70? 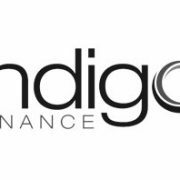 http://www.indigofinance.com.au/wp-content/uploads/2017/03/default-v2.jpg 198 300 wsadmin http://www.indigofinance.com.au/wp-content/uploads/2017/01/indigo-finance-logo.png wsadmin2014-09-29 01:32:292017-03-09 02:45:19Will You Have to Work Until You're 70? The “Good Old Days” – Were They Really That Good?